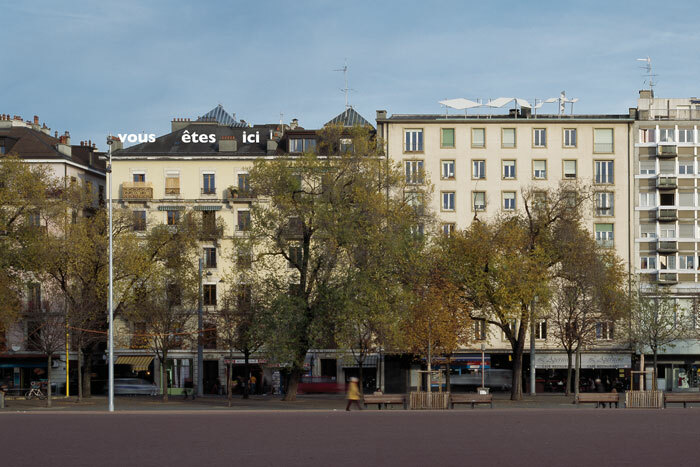 2011 Fmac and FCAC invited artists to take part in a public competition concerning the achievement of eight artistic “neon tube-lit” interventions designed to be fixed on the roofs of eight buildings around the Plaine de Plainpalais. 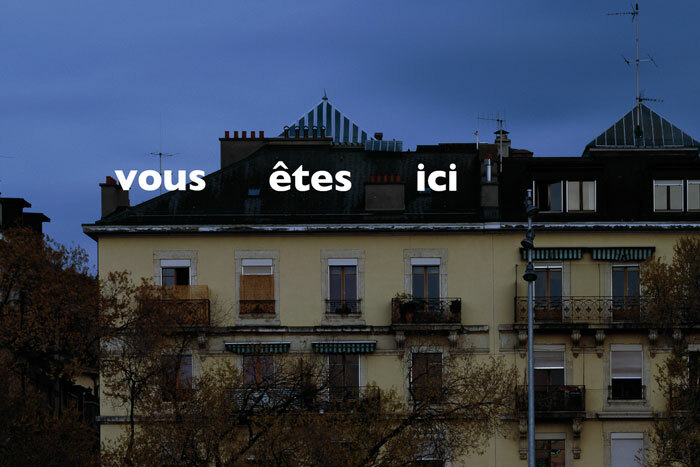 The intervention is a laconic declaration of our physical presence in the world. It refers to the well known red point on a map, helping us to find our (local) position in a unknown surrounding. Here in this context and form the phrase is adressing the spectator very directly, recognizing and commenting his and her presence at the Plaine de Plainpalais. is also an invitation to reflect our place in space and time in a more philosophical way.